WordPress is considered one of the most popular Content Management Systems (CMS) out there because of its convenience. Not only is WordPress easy to use and reliable. It also offers a wide range of WordPress Themes with features that allow newbies as well as experts develop any kind of website. Although some WordPress Themes are harder to use than others, the following ones are easily customizable and adaptable. So, regardless of your choice you can feel confident about it. However, whenever you start an online business your website design is obviously crucial but so is quality content and functionality. For that we recommend you go with a premium theme because they offer more features to take your website to the next level. With so many WordPress themes at your disposal, you might feel that more than one grabs your attention and that’s okay. Just remember that premium based themes are popular among many website owners and are well supported, so spending a little extra for a lot more could be worth it. First on our list is Oshine. 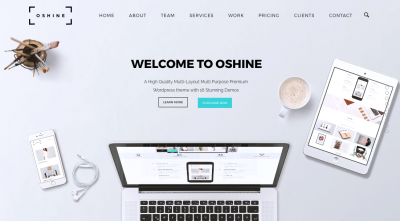 If you are looking for a theme that is vibrant, dynamic and interactive with amazing multi-layouts then Oshine is for you. It’s a multi-purpose html portfolio theme with 27 unique demos, that is suitable for all types of businesses. With Oshine you can have a static website, a single page website or a full blown website without any coding. Its custom Drag & Drop page builder comes with visual previews in the backend and cool features like 10 different header layout combos, 5 menu layouts, over 50 shortcode modules, parallax sections, video backgrounds, unlimited portfolio options and many more. This theme is hard to surpass with its easy to use builder, yet clean and attractive layouts with great functionality. Massive Dynamic is very popular and has unmatched features compared to other themes. This is a theme best suited for webmasters that regularly handle projects across different areas and diverse audiences. It offers an advanced Website Builder with the latest web technologies, Drag & Drop elements, elegant styles and shortcode deployment and configuration. Having access to more than 70 unique shortcodes means you can use Massive Dynamic for any website or business. Some other cool features include: a smart phone notification center, portfolio resize options, 40 pre-made layouts, custom MegaMenu, responsive and retina ready, SEO-friendly plus many more. Uncode is a well-rounded responsive WordPress Theme with professional and clean layouts for agencies, consultants, blogs, restaurants, corporate businesses, magazine and even eCommerce stores. This theme is highly interactive with the Visual Composer plugin for flexibility and high performance so your pages can be easily customized. However, Uncode already offers over 40 concepts, LayerSlider, iLightbox, infinite sidebars among other features that make it easily customizable. 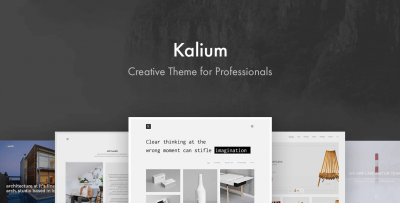 If you are a Designer, Architect, Photographer, Blogger, Online Seller or just a creative person, then Kalium is for you. The reason why is because it’s equipped with Revolution Slider for attractive slides with custom animation, effects, and transitions. As well as several portfolio variations, Visual Composer, Layer Slider and users can link their personal sites to their portfolio, without needing multiple accounts. Overall, Kalium offers clean lines, no clutter and distinct individuality to a website’s content. This creative, retina multi-purpose WordPress theme comes with 210+ easily imported unique demo sites. With the easy-to-use one click import feature, Bridge allows you to have a fully equipped website up and running quickly. Bridge also comes with a collection of features like: Fully Customizable Headers, Section Video Background, CSS3 Animations, Visual Composer, Modular Shortcodes and much more. 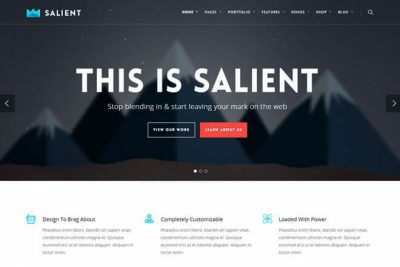 Salient is the most basic theme on this list but that’s because it is all about design. You get standard colors, 2 blog styles, 1 online store style and an organized portfolio layout. That may sound simple or boring, but it truly opens you up to the possibilities. 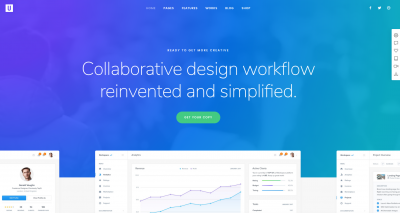 Salient offers a variety of features that will push your creativity. With video background support, responsive and retina ready layouts you can create a highly interactive site that’s truly your own. As one of the most popular WordPress themes, X integrates with all kinds of customized extensions and has an active community of users. Plus, it is far from simple. It features multiple designs, but not like the typical basic layouts. Instead, the X theme includes stacks. Basically, the stacks are separate designs within in one theme. So when you buy one theme (Integrity, Renew, Icon or Ethos) you can get constant access to new designs. This way no two websites ever look the same. Plus, fonts and colors, menus, sidebars, headers and everything else can be customized without having to code. 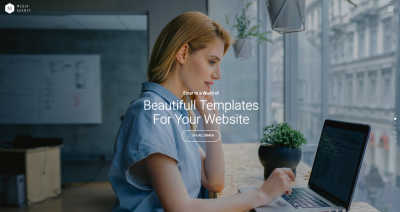 If you’re a looking for variety, the Be Theme offers more than 250 pre-built designs you can install with a single click and easily customize. 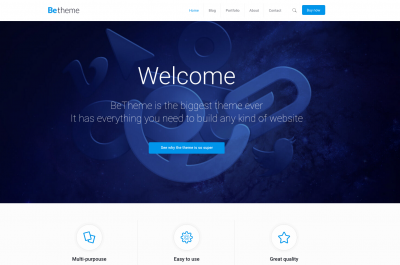 Be Theme is an impressive multi-purpose theme for every type project. Posts and content can be displayed with a 5 or 6 column layout on any device through the AJAX Load More function. Also, with the Dual Sidebar feature, you can have a sidebar on both sides of your site. The Grayscale effect will help save loading time by rendering pictures only when the viewer accesses them. Plus, with an advanced options panel and a Drag & Drop builder, the Be Theme gives you unlimited possibilities. 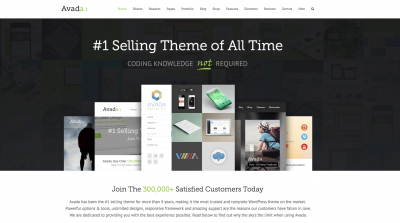 Avada is a great theme that will work well for any kind of site. This is clearly true considering that Avada is currently the #1 sold WordPress theme with over 100,000+ websites using it. But, the great thing about this theme is that regardless of how many are using it, not a single one looks the same. Thanks to Fusion Builder, an easy to use and efficient visual page builder, anyone with Avada can create a completely unique layout. It has a clean design, a fully responsive framework that makes selling products or services super easy using an eCommerce plugin. 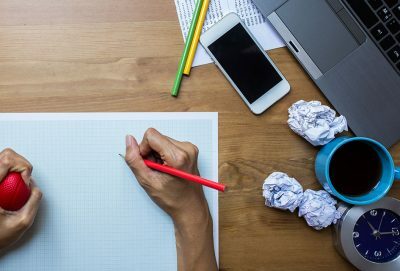 So, basically regardless of your business Avada can work for you. 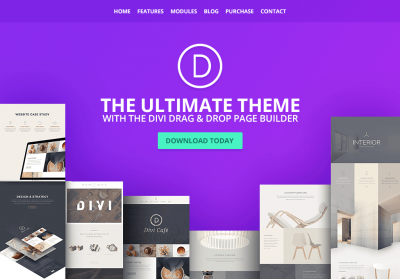 Divi is a Drag & Drop WordPress theme with a page builder that comes with over 20 different layouts and templates for different types of websites. As well as different elements that you can place anywhere on your layout. What is great is that you can even create and save your own Divi layouts. The Divi layout builder will give you the ability to change anything in your layout, from colors and icons, to page and post formats. This is the only way to create a dynamic interface without writing a single line of code. 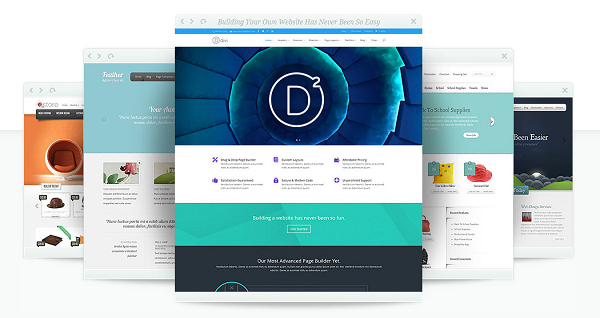 Non-technical users can use it easily to build their sites while perfectionists can use Divi to customize their existing site. 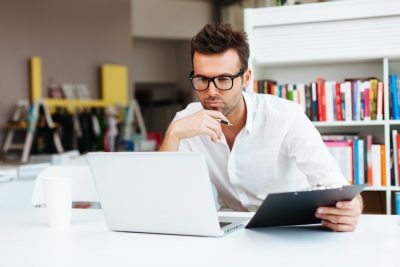 However, if you decide that no WordPress theme captures your attention or represents your business, then that’s okay. Don’t get caught up trying to choose the perfect WordPress themes when Iblesoft can make any theme fit your business. 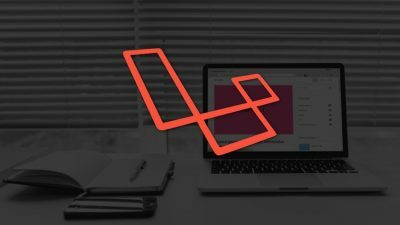 Our developers can develop an impressive, SEO-friendly and unique WordPress Theme for you from scratch! All you have to do is get in touch with us today!